Rowan Miller works as a Program Manager for the open source Entity Framework project at Microsoft. He speaks at technical conferences and blogs at romiller.com. Rowan lives in Seattle, Washington with his wife Athalie, their son Asher, and whatever foster children happen to be in their care at a given time. Prior to moving to the US he resided in the small state of Tasmania in Australia. Outside of technology Rowan's passions include snowboarding, horse riding, construction, and pretty much anything else that involves being active. The primary focus of his life, however, is to follow Jesus. 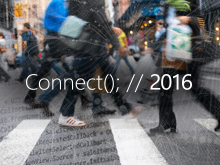 Building data centric applications for web, desktop and mobile with Entity Framework 5.